Log In or Request an Account to see pricing and options. If you are unsure what size valve you need, consult our Interactive Valve Sizing App or the UV-7BC Valve Sizing PDF. If you still are unsure, fill out the Control Valve Quote form. If you don't require constant down speed control, order the UV-7B. 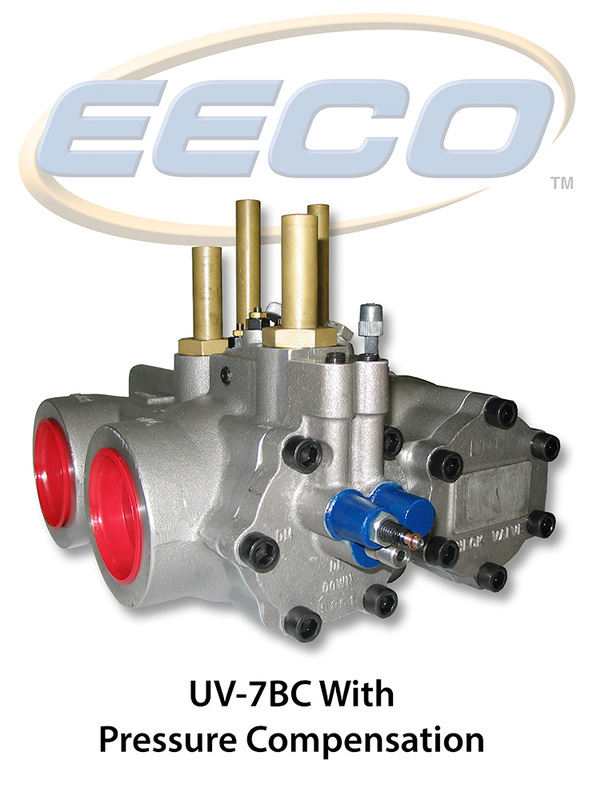 The standard EECO UV-7B control valve is designed for applications where pressure requirements are between 50 - 500 psi (3.5 - 34.5 Bars) with flow rates of 75 to 375 GPM (285 - 1419.5 l/min). All EECO valves manufactured since January 2001 contain high temperature Viton seals throughout as a standard feature. capable of handling flow rates of 105 to 375 gpm. The optional UV-7BC also offers Pressure Compensation for constant down speed control. between no load and full load conditions. Here are some accessories you might need to go along with your product.